Lifelong Michigander: Happy Paczki Day! When I was living in the D.C. area last year, I had to go out of my way to find paczki for Paczki Day (aka Fat Tuesday or Mardi Gras). Now that I'm back home in Metro Detroit, it's a lot easier to find paczki, but I wanted to try some of the best. It had been more than a decade since I had Michigan paczki, so I had to read paczki reviews online to decide where to go. 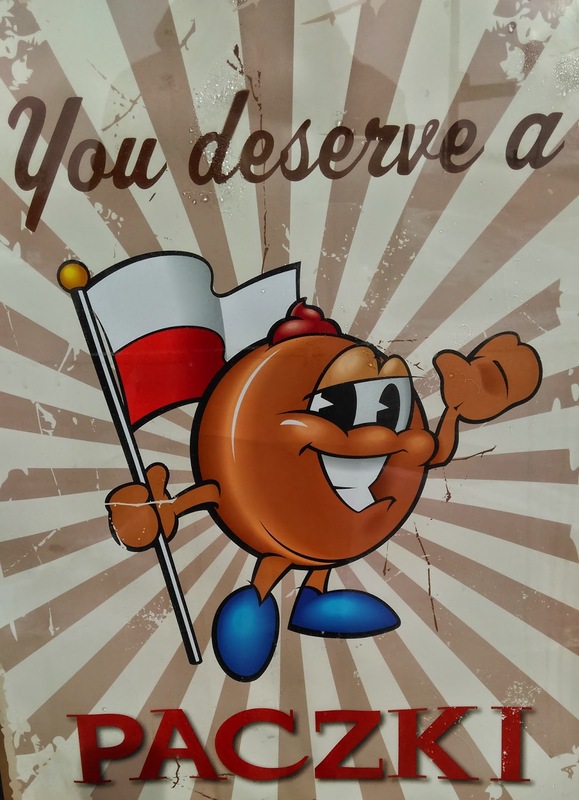 I found five or six places that seemed to make every best paczki list, and I settled on two: 1) New Palace Bakery in Hamtramck, and 2) Dutch Girl Donuts in Detroit. To avoid the crowds, I went to each bakery the day before Paczki Day. First, I stopped at Dutch Girl Donuts. I have driven by this bakery many times and noticed that it always seemed to have a good crowd, even before dawn. The first thing I noticed upon entering was the intoxicating smell of donuts. The sweet aroma was overpowering, as if the building were made out of donuts. The display case was full of enticing donuts, but the paczki were safely stored in the back of the store. I ordered four different kinds of paczki (raspberry, strawberry, butter cream, and apple), and the friendly lady behind the counter quickly served me. Without opening the bag to inspect the paczki, I drove off to the New Palace Bakery. 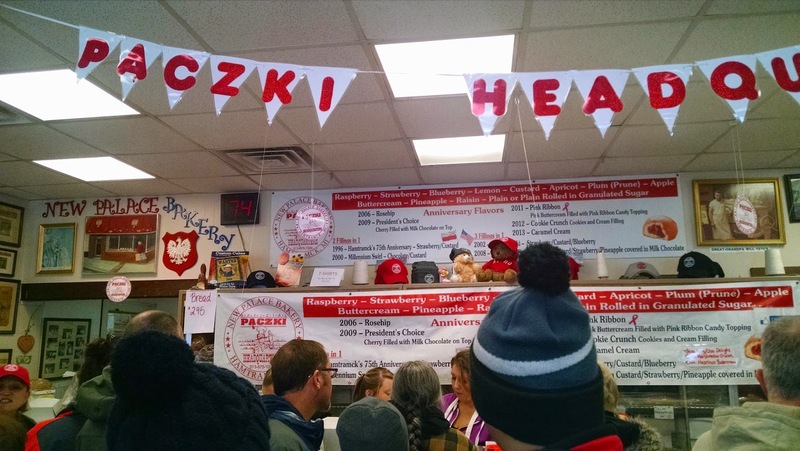 Hamtramck is the center of Metro Detroit's Paczki Day festivities, with its many Polish bakeries, restaurants, and the Paczki Run on the Saturday before Paczki Day. Even though it was early afternoon, Joseph Campau Avenue was busy. Despite the traffic, I was fortunate to find a parking spot on the same block as New Palace Bakery. The bakery was packed with customers and adorned with Paczki Day decorations. I would have loved more time and space to explore the bakery, but I had only paczki on my mind. After a short wait, I walked out with four paczki (raspberry, blueberry, apricot, and rose hip) and the desire to return to the bakery for more Polish baked treats. I did not open the bag from Dutch Girl or the box from New Palace until I got home. At first glance, the Dutch Girl paczki looked a little too much like regular jelly donuts, while the New Palace paczki looked more like what I remembered from my childhood. I placed the donuts on plates and invited my six-year-old daughter and wife to join me in a taste test. We sampled pieces of the various paczki, and my wife and I both preferred the New Palace paczki. The New Palace paczki dough was richer and denser than the Dutch Girl paczki, and the fillings were tastier too. The rose hip jelly was by far my favorite. The Dutch Girl paczki were too similar to normal jelly donuts for my tastes. 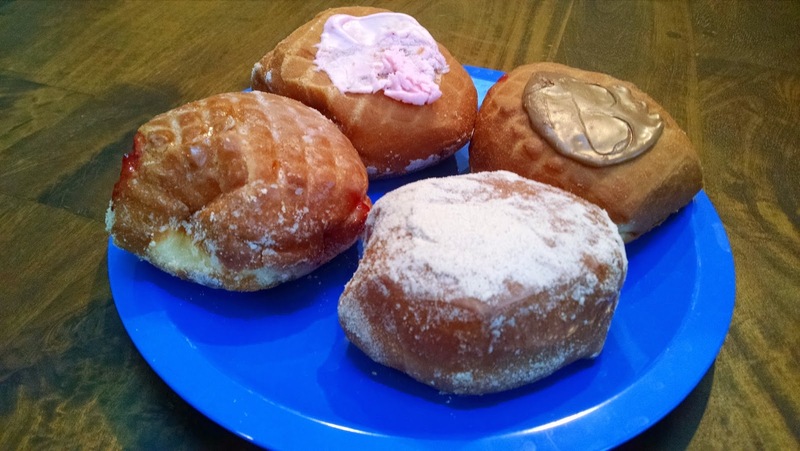 I also am a paczki traditionalist, so I was disappointed that Dutch Girl used colored frosting on two of the paczki instead of the traditional glaze or powdered sugar. However, the butter cream paczki with chocolate frosting was excellent. My daughter said she liked all of the paczki we tried, so the final vote was two in favor of New Palace and one undecided. 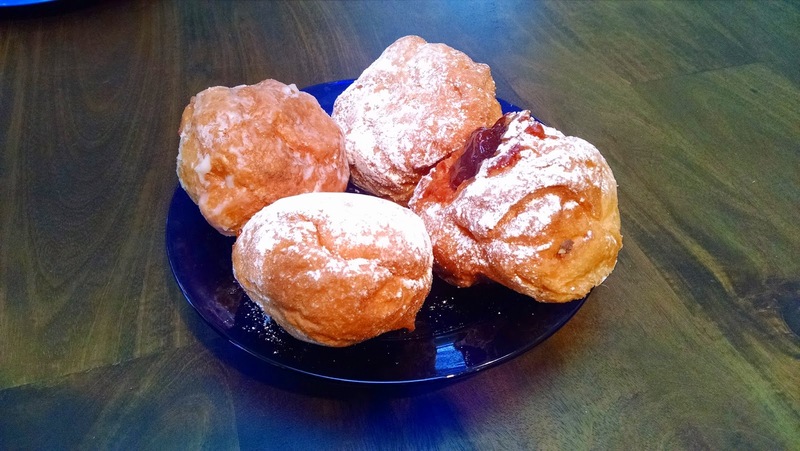 I may try another paczki taste test with new competitors in the coming months. I've heard West Warren Bakery and New Martha Washington are good, and I would love suggestions for other Metro Detroit bakeries that specialize in paczki.